Explanation: Comet Lovejoy, C/2014 Q2, is framed like a cosmic Christmas tree with starry decorations in this colourful telescopic portrait, snapped on December 16th. Its lovely coma is tinted green by diatomic C2 gas fluorescing in sunlight. Discovered in August of this year, this Comet Lovejoy is currently sweeping north through the constellation Columba, heading for Lepus south of Orion and bright enough to offer good binocular views. Not its first time through the inner Solar System, this Comet Lovejoy will pass closest to planet Earth on January 7, while its perihelion (closest point to the Sun) will be on January 30. Of course, planet Earth's own 2015 perihelion passage is scheduled for January 4. 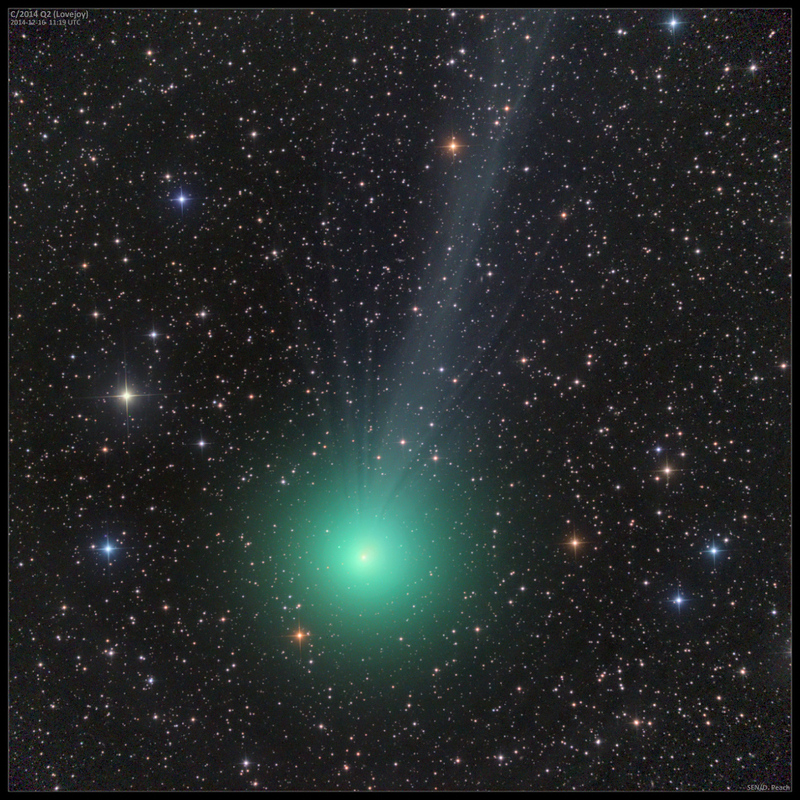 A long period comet, this Comet Lovejoy should return again ... in about 8,000 years.